You think that a missing Lego piece gives your kid an anxiety attack? Try being the organizer of over 100 kits. Yes, Lego organization is possible. No, you do not have to be on Xanax to complete the project (but you might end up wanting to have a few glasses bottles of wine at the end of the project). A few months ago, one of my favorite clients enlisted my help to oversee the organization of her sons' numerous Lego kits. The plan was for us to gather all the Lego boxes, pieces and manuals from both boys rooms and place them all in the playroom. She decided to hire a few high school students that worked at the Lego Camp her kids attended over the summer to help with the process. They would be able to quickly locate the pieces to each kit, which they would then put in Ziploc baggies with the respective manuals. If any pieces were unable to be located then the piece code would be written down and ordered online. Each kit would then be placed in a plastic bin with other coordinating kits. For example, there might be three small Star Wars kits in one bin, two larger Super Hero kits in another, and so on. After all the kits had been placed in the bins, laminated names and pictures would be placed on the outside of each for quick identification. Unfortunately, that plan has sort of changed a bit. The high school students decided to build the kits instead of simply finding the pieces and placing them in baggies, which only adds an unneeded step and tacks on more time than allotted for the project. Not cool, dudes...not cool. Being that I love a challenge, I offered to take on the huge undertaking of sorting the kits. I am now almost halfway done, and it has proven to be one big organizational scavenger hunt. I also have somehow developed a habit of regularly talking to the pieces as I am searching for them - "Ok, little red square with one dot...where are you?"..... "No, two dot red rectangle, I am looking for your square friend with one dot.".... "Luke, where is your father?! 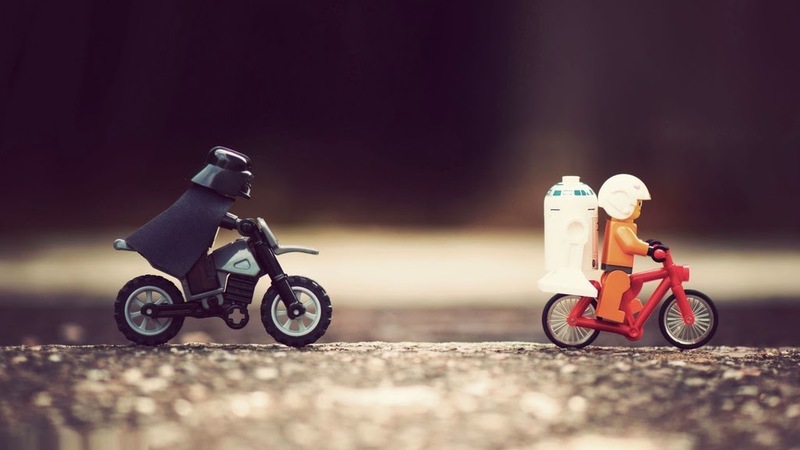 I need to find Darth Vader!". Sort all the loose pieces by color. Now I know that there are plenty of lovely people that will tell you the best way to organize Legos is to keep them separated and labeled by color - all the time. If you or your children buy loose pieces and build your own creations, then this is perfect for you. However, if you want to build a kit then keep the kit pieces together. You are only using colorizing to make finding pieces easier. Based on the experience I've gained in this process, I can tell you it is not fun searching through what seems to be an endless box of white Lego pieces only to find it still attached to another white piece at the bottom of the pile that you have been combing over for what seems like forever. God forbid that one white piece somehow ends up in the pile of red pieces, which you didn't bother to look at....you know, because it isn't red. Kids want to build & play, not search. If you have extras at the end of the process then you can keep those separated by color, just not all of them. Start separate piles for "special pieces". Think in terms of specifics - wheels, bodies, heads/hats, small accessories (Harry Potter's owl, Indian Jones' rope, etc.). 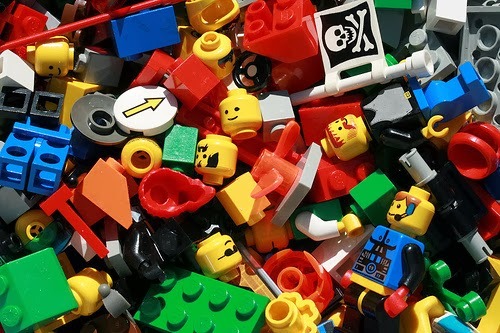 It is up to you how you group them, but I can tell you that it is way easier to find those tiny grey binoculars in a small pile of accessories instead of a massive pile of grey Legos. Do not spend forever looking for one piece. Keep a notepad and pen handy and write down the kit number, piece number and how many you are missing. Anything missing at the end can be ordered directly from Lego. My rule of thumb is to not spend more than 5 minutes looking for a piece. I'd hate to see you waste time looking for something that was sucked up in the vacuum months prior. At the end of the project there is going to be left over pieces, because each kit comes with a few extras. If you find those missing pieces hinding out with the others then you can put it with the kit and mark the piece code off your list - if you still do not find it that is what the list is for anyways. Hopefully this inspires you to start on your own Lego organization! Stay tuned for more details on getting (and keeping) them organized in the coming weeks.